H-Shield NB by Hunter Panels - Energy Smart PolyIso Dimensional Metals, Inc.
H-Shield NB is a rigid roof insulation composite panel composed of a closed cell polyisocyanurate foam core manufactured on-line to a fiber reinforced facer on one side and either 7⁄16″ or 5⁄8″ oriented strand board (OSB) on the other. H-Shield NB can also be manufactured off-line using an FM approved adhesive. H-Shield NB is installed, wood side up, over metal, wood or structural roof decks. Hunter SIP NB Panel Fasteners are required to secure the H-Shield NB to the roof deck. Wood blocking, if necessary, should be equal in thickness to the H-Shield NB and should be installed along the eaves and rake edges of the roof. The roofing system is then installed according to the manufacturer’s recommendations. H-Shield NB may be adhered to a properly prepared cementitious deck (with a full mopping of Type III or Type IV asphalt or a low rise adhesive) only when manufactured online. 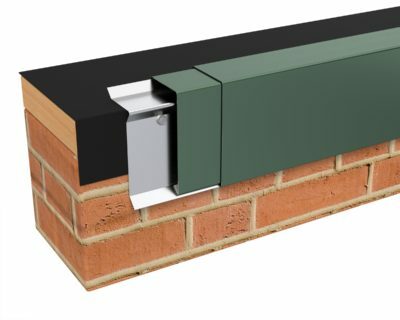 All H-Shield NB manufactured off-line must be mechanically attached. The use of synthetic underlayments is becoming an industry norm (for steep slope applications). 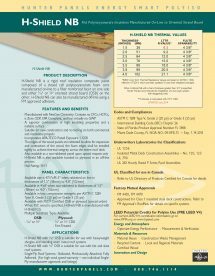 Hunter Panels strongly suggests the use of a synthetic underlayment under asphalt shingles unless otherwise specified by the shingle manufacturer. Synthetic underlayments provide excellent water resistance and absorb no moisture. The incorporation of a vapor barrier or retarder within the roofing assembly is highly recommended when the project is located in Zones 4 – 8 as determined by the International Code Council Dept. of Energy NW National Lab of the United States (map located at www.polyiso.org). Consult a licensed design professional, architect or engineer to establish whether or not a vapor barrier is necessary and to specify its type and location within the system. This is especially important during the construction phase when excessive moisture drive is present. 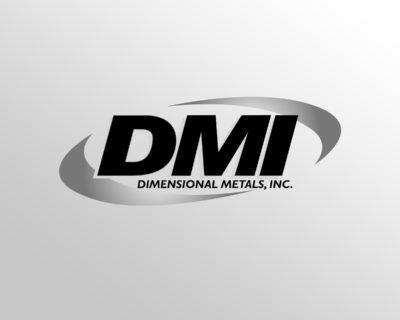 Hunter Panels recommends that a dew point calculation be performed prior to the installation of any product. This calculation is based on the buildings interior relative humidity, interior temperature conditions and outside temperature. Excessive moisture migration and temperature fluctuations during construction will potentially damage the system and cause unwanted condensation and aesthetic anomalies. 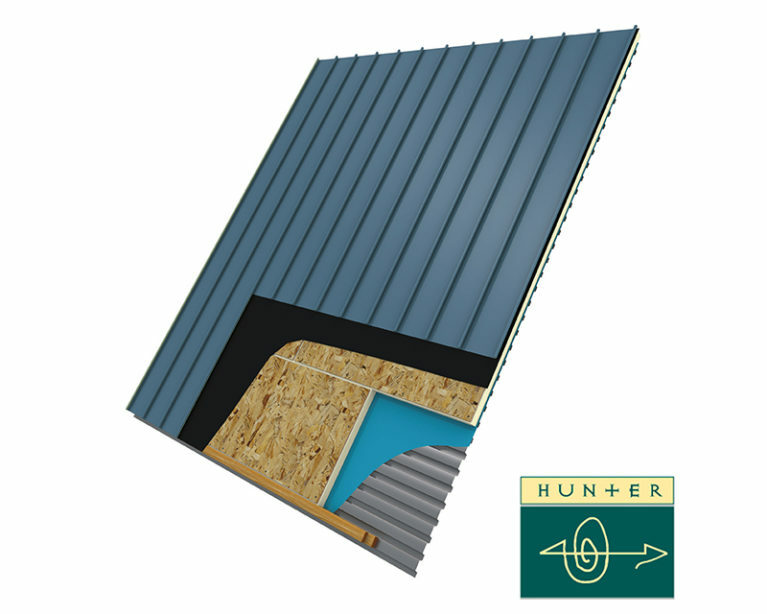 Hunter Panels requires the use of the Hunter Panels SIP SD Panel Fastener for steel deck applications and the SIP WD for wood deck applications. See Fastening Pattern Guide for recommended fastening patterns. 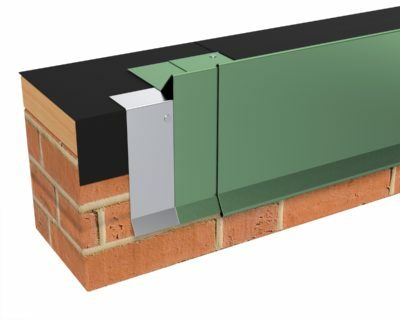 When H-Shield NB with a foam thickness greater than 3.5″ is specified, Hunter Panels recommends the installation of a two layer system with staggered joints.